Very few fruits are as versatile as the pumpkin. 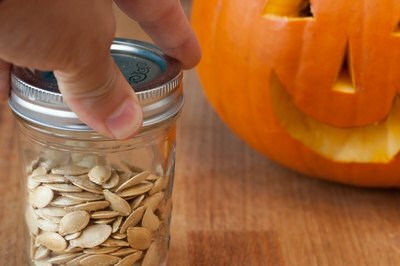 You can make pumpkin pie, pumpkin soup or pumpkin bread, and you can even bake the seeds and eat them as a snack. 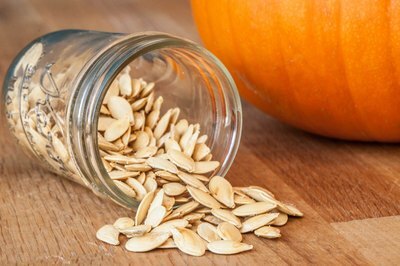 Find out how to best bake pumpkin seeds. 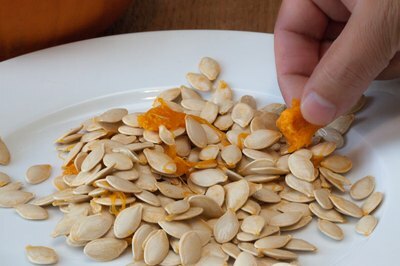 Separate the seeds of a freshly carved pumpkin from the stringy membrane. Rinse the seeds just until they are free of any membrane matter. Place the seeds on a paper towel and let them dry for a few minutes. 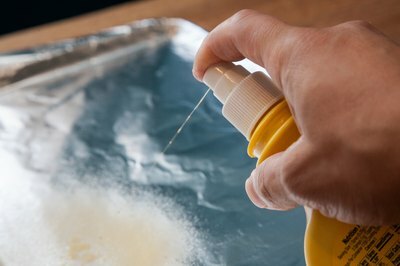 Spray a baking sheet with butter-flavored nonstick cooking spray or brush with a light coating of vegetable oil. 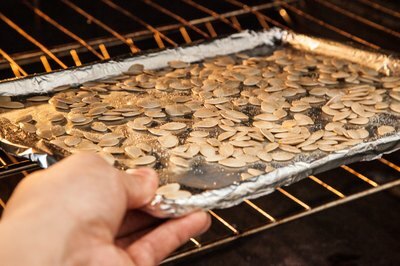 Put the seeds on the baking sheet in a single layer, turning to coat lightly with the spray or the oil. Sprinkle the seeds lightly with salt, if desired. 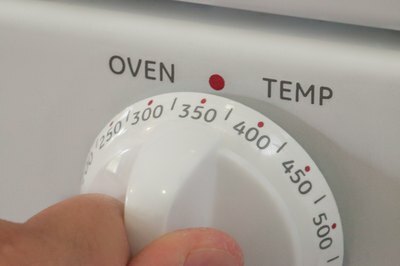 Put the baking sheet in the oven. 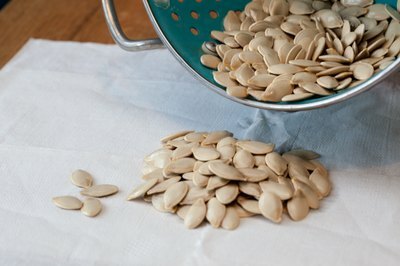 Cook the seeds for 10 to 20 minutes, or until brown and slightly crisp, turning once. Allow to cool before eating. What Is the Difference Between Pumpkin Puree & Pumpkin Pie Filling?